Calvin Staples, MSc, will be selecting some of the more interesting blogs from HearingHealthMatters.org which now has almost a half a million hits each month. This blog is the most well read and best respected in the hearing health care industry and Calvin will make a regular selection of some of the best entries for his column, Other People’s Ideas. Audiologists know all things about hearing and our ears – or at least that's what is expected from us with our patients, friends, and family. The content of “Other People's Ideas this month” is a little food for thought. The blogs included below focus on a range of topics that all coincide with our hearing or our ears. The blogs will hopefully provide some extra material for your next patient encounter or family/friend gathering! Everybody knows by now that smoking is bad for you, and many also know that “second-hand” smoke may harm those around them. The following study ups the ante by demonstrating that those who don’t smoke may have their hearing compromised by others smoking in their environments. The study was done on teenagers, but that doesn’t mean the harm is limited to that group. Think about your grandkids... and your spouses. Hearing loss is associated with exposure to cigarette smoke in children, according to a study completed at New York University. Researchers measured the hearing of 1533 teenagers and measured the levels of cotinine in their blood samples. Cotinine is a metabolite of nicotine (the word is an anagram of nicotine). It’s used as a biomarker to measure exposure to second hand smoke: the level of cotinine in blood correlates with exposure to tobacco smoke. Based on cotinine levels, the study found 799 teenagers who were exposed to second hand smoke, and 754 teenagers who were in smoke-free environments. Between those two groups, they found that low frequency sensorineural hearing loss occurred as much as 17% of the time in the high cotinine group. 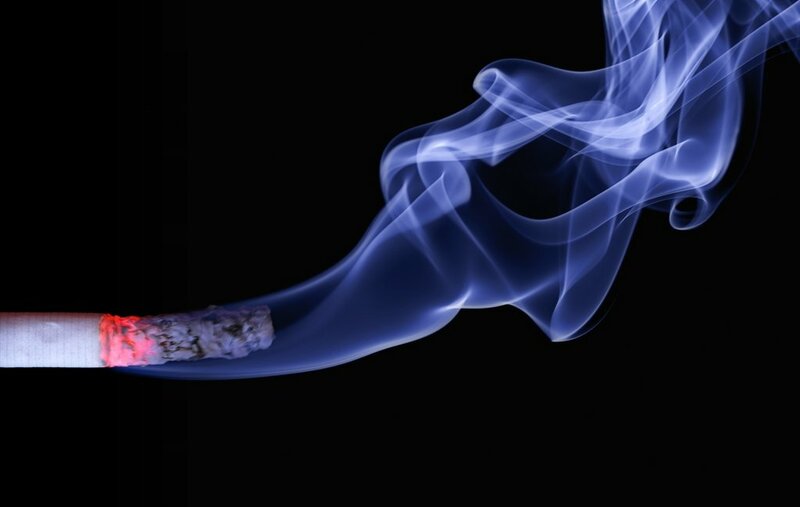 The reason that tobacco smoke may cause hearing loss is not fully understood, but the article suggests that the path of destruction may be lie within the tiniest blood vessels of the body, which are found in abundance in our inner ears, especially in a structure called the stria vascularis that is essential for maintain hearing acuity. Blood flow through such vessels is known to be reduced by tobacco. The take home here is that everyone should have a baseline audiogram to ensure that their hearing is not compromised. Thereafter, it is wise to do comparison testing every few years — depending on baseline results — to ensure that if changes occur in hearing, they are detected and addressed appropriately. Lalwani, A.K. et al. (July 2011). Secondhand Smoke and Sensorineural Hearing Loss in Adolescents Archives of Otolaryngology — Head and Neck Surgery, 37(7). 655-662. Audiologists spend a good deal of time talking to patients and the public about ear protection, often via use of Hearing Protection Devices (HDPs). 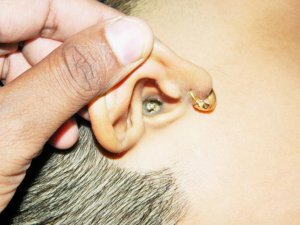 Today’s posts picks up the protection theme, but this time it’s all about ear wax and the weird ways people adopt to remove it from their ears. What is Earwax and Why Do We Have It? Earwax (cerumen) is secreted by glands in the skin of our ear canals. It’s a helpful and natural part of your body’s defenses. Cerumen protects your ear canal by trapping dirt and debris. It also slows the growth of bacteria in the ear. Earwax normally works its way out of the ear canal on its own. Then, it’s washed away or falls out as new wax is secreted to replace it. We don’t know why some people secrete more cerumen than others. We also don’t know why some people experience earwax blockage or why earwax blockage sometimes occurs in only one of their ears. Patients sometimes ask The Audiologist about ear candling. What is it? Does it work? Is it safe? 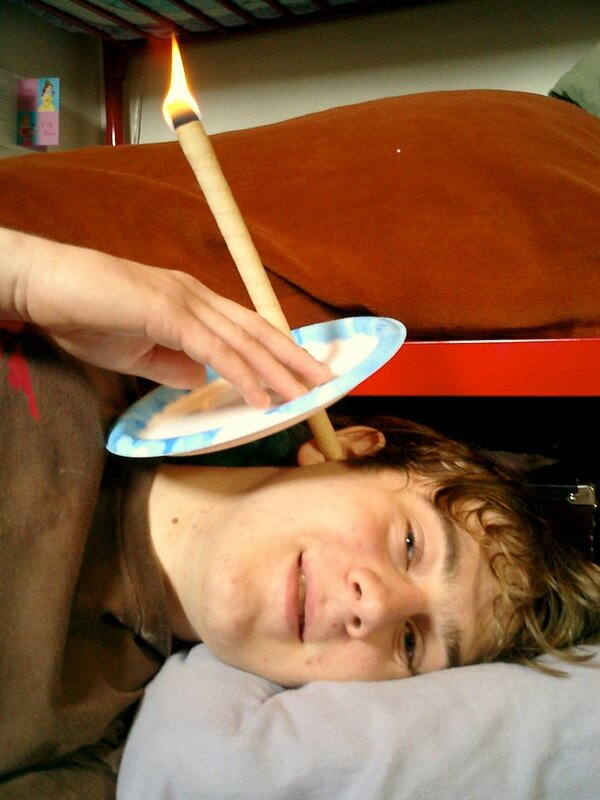 Ear candling, also called ear coning or thermal-auricular therapy, is an alternative medicine practice claimed to assist the natural clearing of earwax from a person’s ear. It’s done by lighting one end of a hollow candle and placing the other end in the ear canal. In theory, the heat from the flame creates a vacuum seal and the earwax adheres to the candle. So much for so-called theory. Several studies (Shenk & Dancer, 2006; Jeffries et al, undated) report that ear candling does NOT remove cerumen from the ears. Investigators in these studies used pre-measured amounts of human earwax in either test tubes or actual human ear canals. They then burned and trimmed ear candles according to instructions. At the end of the experiments, the test tubes had a waxy build up in them but in both studies the mass of the human earwax before and after candling was the same. In fact, the wax gained mass due to exposure to the burning candle. For a hair-raising discussion of the history, claims, and disasters associated with ear candling, please click on this article at QuackWatch. It’s an informative and entertaining read. It seems safe to conclude that ear candling doesn’t work and may result in injuries (i.e., burns, ear canal obstructions, ear drum perforations). When it comes to recommendations, The Audiologist sings an old, but true, refrain: If earwax, or any other ear/hearing issue, becomes a problem, audiologists are your first course of action. Most are trained in cerumen removal and will take simple steps to remove the wax safely. Just as important, they will design a plan of action to keep your ear wax under control. This is especially important for those who wear hearing aids and need to keep them working in spite of wax build up. The original study by Jeffries W et al is no longer accessible in full on the Internet. Schenk H Dancer J. Ear Candling: Conflicting Information, Confused Consumers. Audiology Online, Feb 13, 2006. Heart disease and stroke account for some two-thirds of all diabetes-related deaths. Diabetics have higher heart disease death rates and their risk for stroke is 2 to 4 times higher than the non-diabetic population. As compared to people without diabetes, diabetics have about twice the risk of death as age-matched peers. Bainbridge et al (2008) studied 5,140 adults and determined that hearing loss was much more common in people with diabetes. People with diabetes had a significantly greater rate of hearing loss than the non-diabetic population. 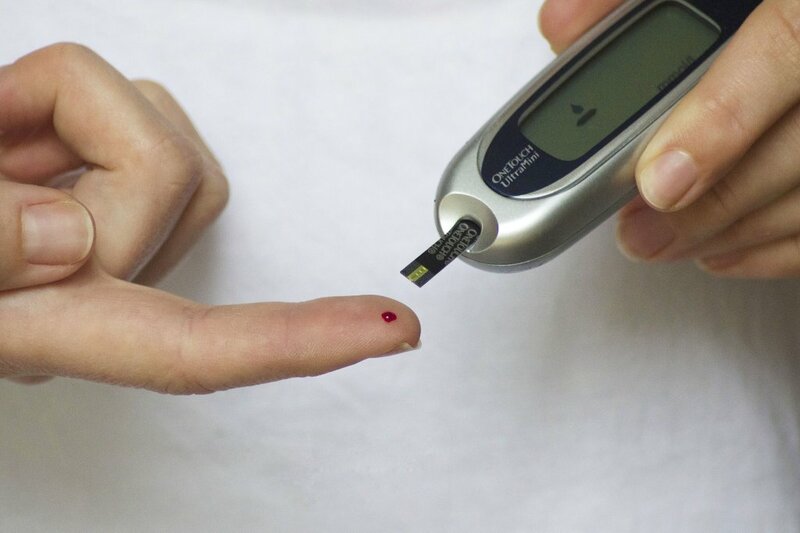 In these cases, diabetes was the suspected origin of their hearing loss, leading to the recommendation that people with diabetes should be screened for hearing loss. Twenty-eight percent of the subjects had hearing loss in the low-mid frequency (below 2000 Hz) range, while 68 percent of all diabetics had high frequency hearing loss. In a 12 year study Kim et al (2016) followed 253,301 adults for an average of four years each. At baseline, all subjects had normal pure tone audiograms and were placed into normal glucose levels, pre-diabetic, or diabetic groups for follow-up. Results showed a “moderately increased risk of future hearing loss” in the diabetic group. Specifically, “…the risk of incident hearing loss increased progressively with HbA1c levels above 5%." Based on the above, it appears that having type 2 diabetes may well be an independent risk factor for hearing loss. In the past, audiologists tossed most hearing loss that occurred with age into the “age-related” basket, which wasn’t much help to the patients. Now, if we’re keeping up with the research, we know that some of these hearing losses are not due to age, but to other diseases that are age-related. We can find those hearing losses sooner and diagnosis them more correctly if we make sure that people who are at risk for diabetes get their hearing tested. Second and importantly, future research will continue to clarify correlations and causalities linking hearing and glucose function, perhaps enabling broader use of hearing test measures for healthcare management. Bainbridge et al. Diabetes and Hearing Impairment in the United States: Audiometric Evidence from the National Health and Nutrition Examination Surveys, 1999–2004. Ann Intern Med. 2008 Jul 1; 149(1): 1–10. HHTM Staff; May is Lyme Disease Awareness Month. As we head into summer, the next three months or more will be spent pursuing the splendors of the great outdoors. We all know to wear sunscreen and hats to protect our skin. Some of us know to wear long sleeves and pants to ward off diseases from insect bites. A few know to follow medication regimens and sleep under netting in some parts of the world for the same reasons. Hardly anyone thinks of doing any of the above as a means of protecting ears and our hearing. Today’s post raises that thought. Fig 1 . Borrelia burgdorferi via scanning electron micscropy. Image courtesy CDC. 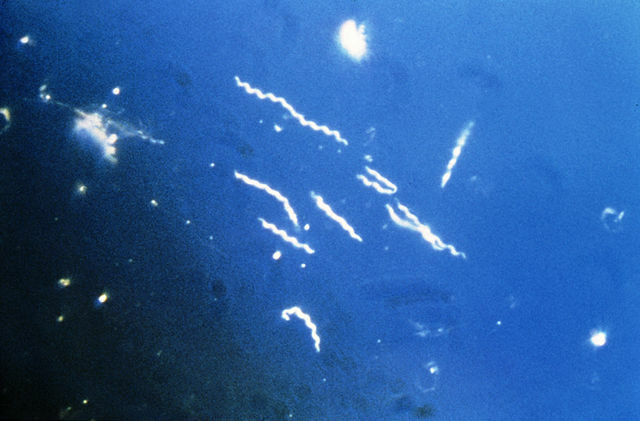 Borrelia burgdorferi is a bacteria found in North America. Similar Borrelia genospecies occur in Europe. Borrelia are long, skinny, corkscrew organisms (Fig. 1) that propel themselves by shimmying along. They’re too thin to be viewed with conventional microscopy, with widths of 1/5 to 1/3 of a micron (that’s a millionth of a meter!). They’re about 10 times longer than they are wide. Imagine having those snaky things in your bloodstream, which is what happens if you get bitten by ticks carrying Borrelia. The bacteria causes Lyme disease which is transmitted by black-legged ticks to humans, especially in the northeastern, midwestern, and western portions of the US. 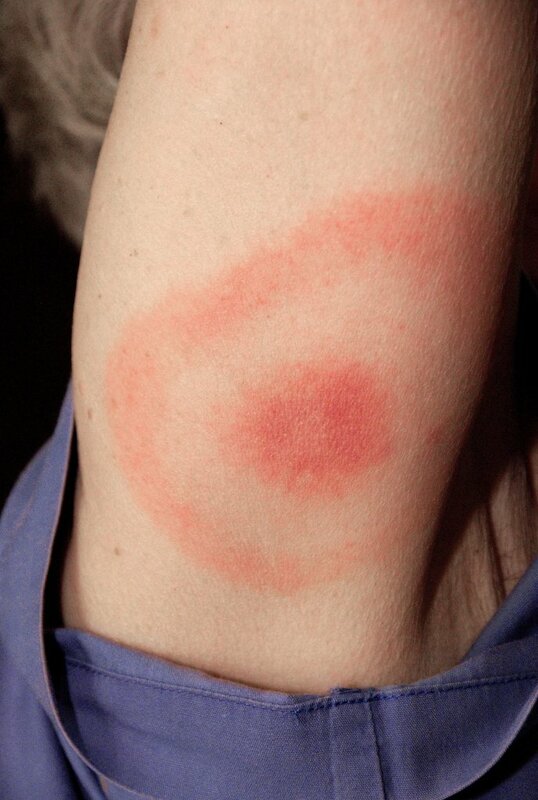 Lyme disease is manifest by a bull’s eye rash (Fig 2), which goes on to provoke a variety of bodily harms. B. burgdorferi and Lyme disease are newcomers — the disease wasn’t named and identified until the mid 70s, the bacteria wasn’t isolated until the early 1980s. But both been around for much longer than that. B. burgdorferi-like bacteria (Palaeoborrelia dominicans) have been found trapped in New World amber dating back 15,000 million years. The multi-stage disease cycle starts when the bacteria infect mammals and birds that have been bitten by ticks carrying the bacteria, who feed on the blood of the mammals. The cycle comes full circle when bacteria-carrying ticks drop eggs to the ground. Once a warm-blooded animal is bitten, the bacteria invades its blood and tissue. Borrelia burgdorferi is especially partial to the white-footed mouse. Ticks in different stages of their life-cycles bite and feed up the mammalian food chain, going from mice to larger mammals like humans and deer. At each stage, they can transfer the bacteria and infect their present host. When they do so in humans, the Lyme disease encompasses a constellation of pathologies, including myocarditis, cardiomyopathy, arrhythmia, arthritis, arthralgia, meningitis, neuropathies and facial nerve palsy. The final symptom listed above, facial nerve palsy, may trigger a thought in the minds of Audiologists and those who have encountered shingles affecting the auditory system (we will have future posts on this). Facial nerve palsy can occur when the herpes virus (varicella zoster) spreads into the geniculate body of the facial nerve near the inner ear, causing nerve damage that affects your hearing, in a condition called Ramsay-Hunt. The same study also provides a case report of a female with confirmed Lyme disease who presented with SSNHL followed by facial paralysis. The latter resolved with antibiotic therapy, the hearing loss did not show recovery. The timing of symptoms and blood work suggested the Lyme disease-hearing loss link. If Lyme disease does cause hearing loss, it may well do so by attacking the vestibulocochlear nerve or facial nerve, perhaps at the geniculate body as happens with Ramsay Hunt. Nobody knows but the first step has been taken — a link has been established between disease and hearing loss. The take home for those who wander out into the great outdoors in summer is to know where you are, know whether there are ticks where you are, and wear clothing that covers appropriately if you’re in tick country. If you develop a rash like that shown in Fig 2, see your doctor. If you experience hearing loss, see an Audiologist. Audiologists can’t know what causes SSNHL most of the time, but they can and should be familiar with the usual and the unusual suspects. Sudden sensensorineural hearing loss (SSNHL) is a topic of its own that we’ve written about at HHTM before. SSNHL associated with Lyme disease is not reported or connected very often by physician or audiologist. It’s easy to miss the connection. Lyme disease, known as the “great imitator,” can be misdiagnosed (e.g., as multiple sclerosis). It can take weeks to manifest after the tick bite, with symptoms rolling out insidiously. In contrast, SSNHL is, by definition, sudden, dramatic, and impossible to miss. Who would think to link sudden devastation of a single sensory channel with slow debilitation of a variety of body systems? Audiologists should include Lyme disease as a consideration when taking the history of anyone who presents with SSNHL. Even if the disease is not reported, the history should query outdoor activities by region; also it should document physical complaints (e.g., headache, joint pain, etc) that fall within the constellation of Lyme disease pathologies. As always, close professional working relationships with physicians are a must for Audiologists who see patients with SSNHL. Calvin Staples is the Hearing Aid program coordinator and faculty member at Conestoga College and lead audiologist and Owner of Grand River Hearing Centre.